He is one of the most loved movie stars in the world. She is the daughter who refused to accept that her father's looming shadow could define her world. 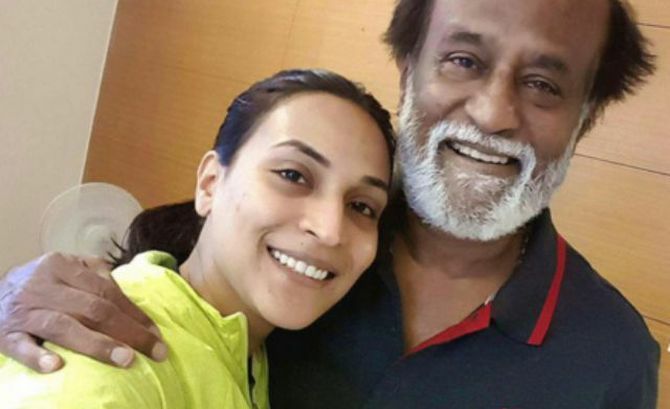 Aishwaryaa R Dhanush -- daughter of the legendary superstar Rajinikanth; wife of the popular actor Dhanush -- has not allowed their achievements to limit her. At 36, she is a director, producer, script writer, author, a trained singer and classical dancer and a UN Women's Advocate for Gender Equality and Women's Empowerment in India. 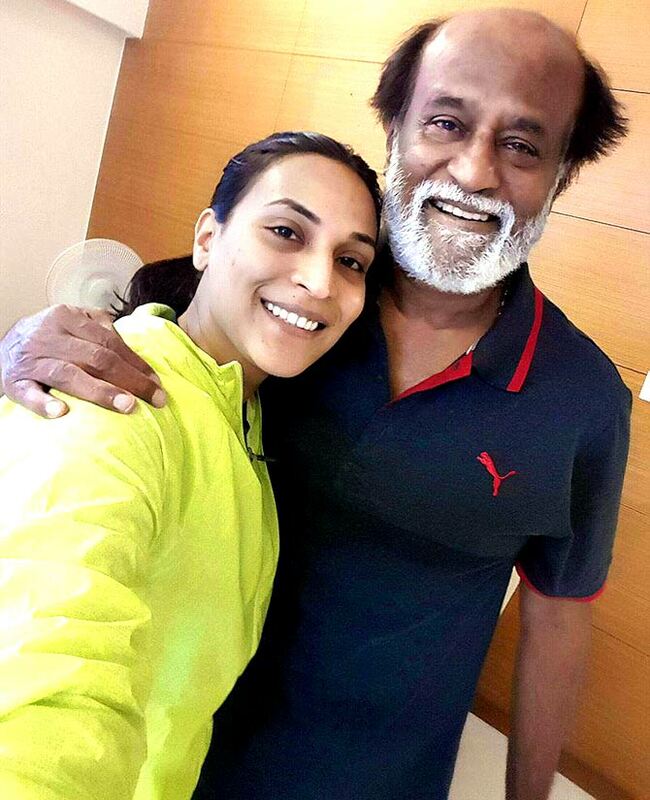 In this interview, she tells Savera R Someshwar/Rediff.com, what it means to be Rajinikanth's daughter, how life changed when her parents became grandparents and answers the one question everyone is afraid to ask: Will Rajinikanth retire? What did having a super-busy superstar mean to you as a child? When did the fact that your dad was a superstar start impacting you? When did you realise who actually Rajinikanth was? Much later in our lives because my parents both -- I'm sure it was a very collective decision that they had -- we were not exposed to the limelight at all. So your mother did succeed in giving you a private life. The fact that the Internet and cell phones did not exist then must have helped. 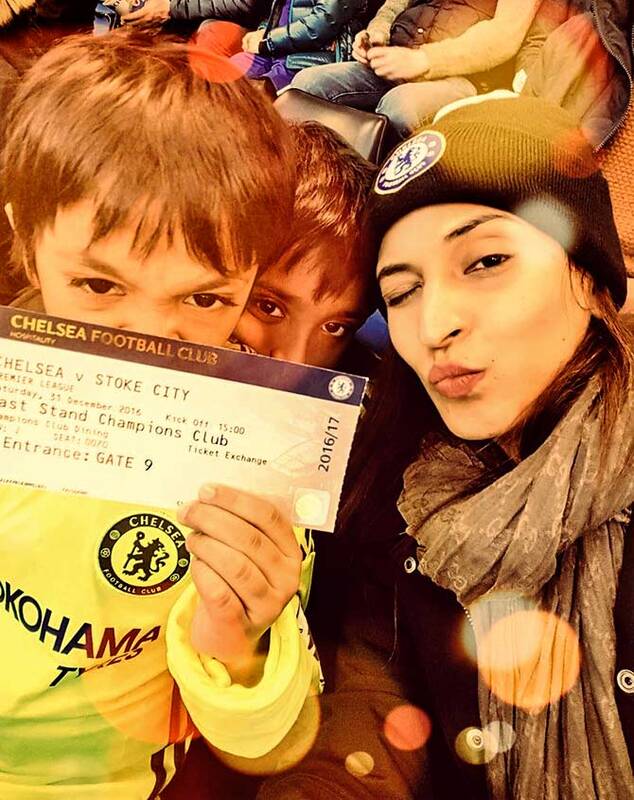 As a mother, this kind of intrusion into your private life must worry you. It does. It is a huge challenge. I am yet to actually see the whole wrath of it because my kids are still young. I am sure they would want a cell phone -- my older one is already asking me when -- and I've told him he can have one when he is in Class 11 or 12. He is not happy with that decision; he said his friends already have cell phones. It's a huge challenge for parents today -- whether you are a celebrity parent or not, it does not matter -- to bring up kids because you need to draw that line. But I do encourage asking questions because I think that's the healthy thing to do. Now, it can't be that way because my son wants a rational explanation when he asks me a question. I think he has the right to know what it is. If I can explain it to him and make him understand, I think that would be the best way for him to know something. What are your parents like as grandparents? Oh, they are so much more lenient and they are so much more giving and they are so much more fun. My mom's the pampering type. My dad loves to spend time with them and he loves the stage they are at right now. It's not the stage where you run behind them. Would you like your dad to retire? I mean, he has lost out a lot on family time so I think it's important for him to make up as far as that is concerned. He should work at his pace... I wouldn't say retire because I know how much people love him and how much they like to see him on the screen. I know how much pleasure he gives people. So I wouldn't want him to retire totally, but take it slow and give his family some time.